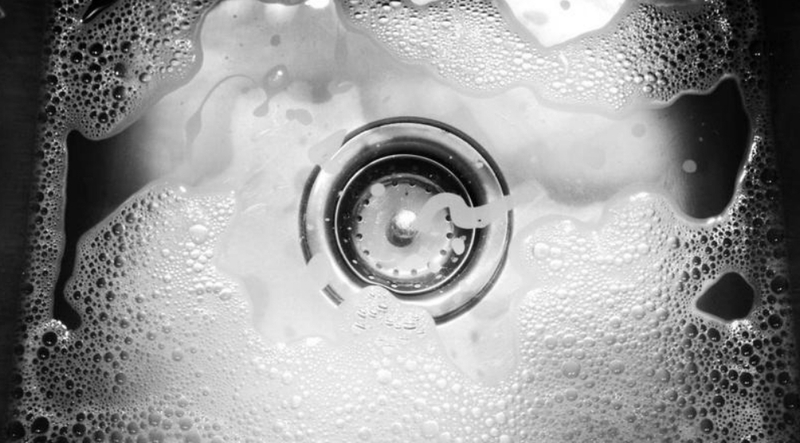 It’s recommended to deep clean your kitchen, bathroom and laundry sinks once a month, as lurking down in the drain is a build-up of soap scum, food scraps, hair, and other particles breeding nasty bacteria. Ignoring the issue will not only cause a nose-pinching odour but serious blockages will require expensive plumbing repair. If that’s not enough to get you running to clean the kitchen sink or laundry sink, consider the fact that these drains are centimetres away from where you wash food, bath the kids, and soak your clothes. Never fear, as these quick tips will help you unclog the most stubborn of blockages, leaving your drains free flowing and smelling fresh again. And better yet, you likely already have the two cleaning products you need sitting in your pantry! We’d be happy to clean our food in this sink. Start to clean your drains with a cup full of baking soda – a cheap multipurpose product found in your local grocery store. Tip the contents into the drain, and sprinkle a little across the drain net or removable strainer. Place a cup of white vinegar into the microwave for two minutes (the added bonus with this step is the steam from the vinegar will simultaneously clean your microwave, just needing a quick wipe down after). Pour the heated vinegar down the drain. This will cause an immediate reaction with the baking soda, producing a bubbling effect. Leave this for five minutes, giving the products plenty of time to do their thing and clean up your drains. Finally, turn on your tap to flush out your drains with warm water. Let this run for 30 seconds. It’s that simple! The same products can also be used on stainless-steel plugs or the removable drain strainer, to bring back their sparkle.